For Driving Schools in Australia, we offer 3 creative solutions, based around the classic yellow L Plate icon (yellow learner plate), a modern car wheel image and an engaging car logo. We can accept your payment in Australian Dollars, with prices starting at only Aus $16 per month. This is an opportunity to attract more learner driver students to your business. 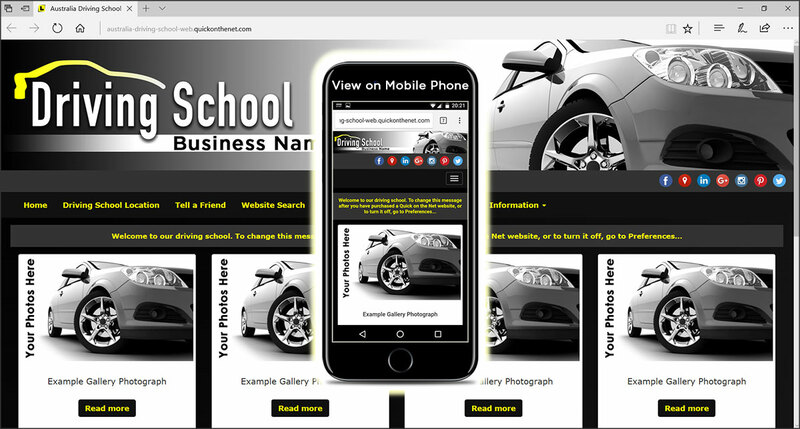 Whether you operate your business alone or you manage a team of driving instructors, this website will scale up or down to meet your requirements. What's more, the end result looks highly professional and it can be customised to suit the needs of your local business in Australia.